Global climate change is often viewed solely as an environmental concern – a phenomenon caused by environmental changes that has environmental impacts. Rising sea levels and more frequent and intense storms and droughts immediately spring to mind when climate change is mentioned, but environmental impacts are only one part of the story. The human impacts of climate change are many and varied, but are often conveyed in abstract terms or as problems that affect “other” people. Why does this matter? Because urgent action is required to mitigate the pace of climate change, as well as to adapt to the “new normal.” Action will only be taken when it is demanded. The impacts of climate change on health could serve as a lightning rod to motivate such action by highlighting and personalizing the risks of inaction to all, regardless of which country you call home. 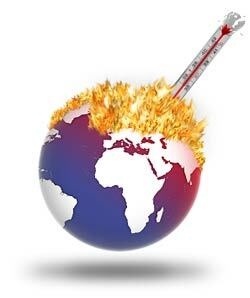 Want to know more about how climate change affects human health? Join Mey for a TweetChat on the health impacts of climate change hosted by HCHLITSS at 8pm EST, Thursday September 13. You can also follow Mey on WordPress and Twitter, or leave a comment below to share your thoughts on how climate change will affect health in the future.